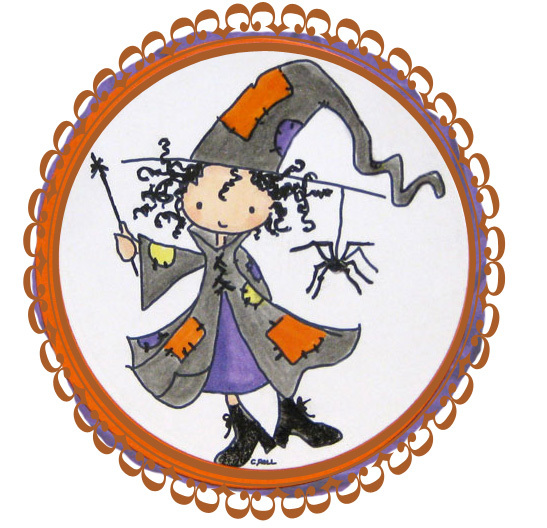 At There's Magic in the Air, Gloria brings us this weeks challenge. She would like to see us use some kind of die cut on our project. For my image, I printed Paper Cupcakes' "Merry Moose-mas" and colored him with copics and sponged around the image after I cut him out with Spellbinders Label 4 die. Also cut a mat in green using same dies. 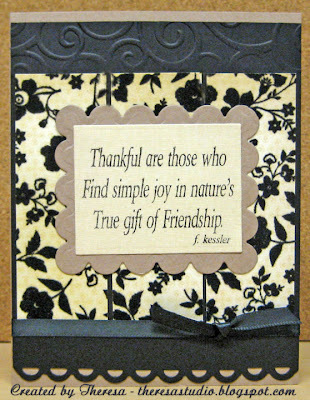 I used a digi sentiment from Raindrop Echo that I cut with Spellbinders Ribbon Tag die but trimmed off the ends. Assembled the card following the challenge sketch from Critter Sketch Challenge shown below. Used buttons on my card which were part of the CSC. Entered both challenges mentioned above. All Paper and Buttons from stash - Red vellum paper was actually saved from a Cadillac Catalog from a few ago. Like to re purpose items. Base card is paper I made with the Marble technique. I love this little bear in a pile of leaves but I do not like raking leaves which we have been doing a lot.. This card is for the challenge at Just Cute Bears & Friends - to use the sketch to the right and use a bear or other animal image. Stamped bear and colored with copics. Added flower soft to the pile and Glossy Accents to leaves in the air. Stamped sentiment with leaves and also colored with copics and added glitter with Sakura pen. Used pumpkin spice CS for cutout mats and a Leaf Pattern paper for larger mat. Papertake Weekly Challenge: Theme is sparkly and bright...Added glossy accents to leaves in the air that makes them shiny, glitter on sentiment and leaves have sparkle, and ribbon is shiny too. 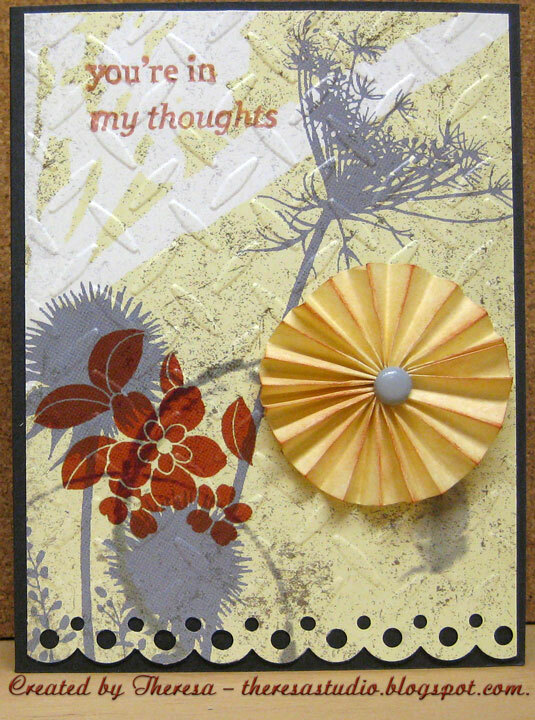 Scrap-Creations: Be thankful...make Thansgiving card or Thank you Card. Papers: Adorn It Pattern Paper "Leaves Aswirl"
﻿ This was a very quick and simple card made following the Card Pattern sketch 190 shown on the right. 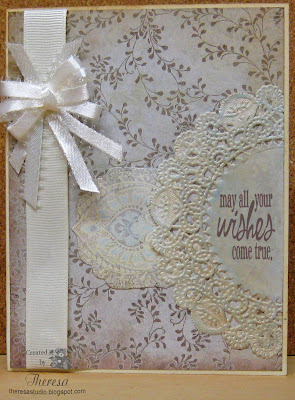 I used a Brown CS from GKD as the base and embossed with CB EF Divine Swirls. Layered the Basic Grey Pattern Paper from Jovial pad on a mat of Red CS from stash and attached to the card. Used Spellbinders Labels 4 to create the sentiment that I stamped with GKD "Festive Frame" in Memento Rich Cocoa. Added a Poinsettia from my stash of flowers. Love this paper from Basic Grey. 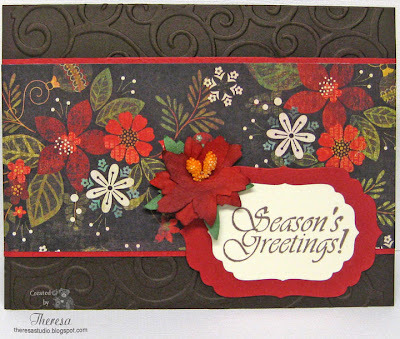 Christmas Card Challenges: Include flowers on your card. Speedy the Cat's Friends Challenges: Make a holiday card. 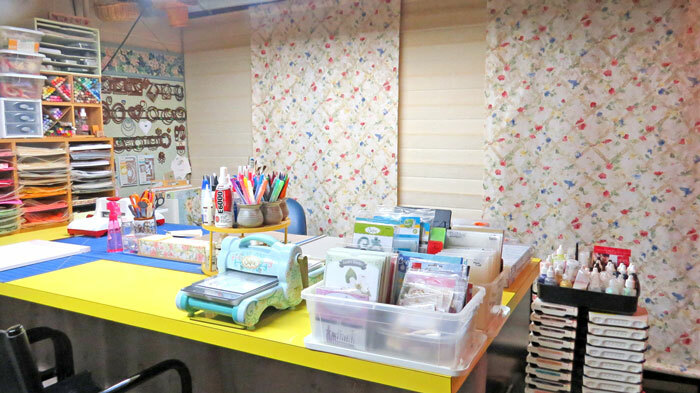 One Stop Craft Challenge: Anything goes. The Creative Cottage Challenge: Use embossing-Used Cuttlebug EF Divine Swirls. One more Christmas card done. Thanks for stopping by! This card was made with some elements cut with a Cricut by a stamping friend and she shared with us at a recent stamp club meeting. 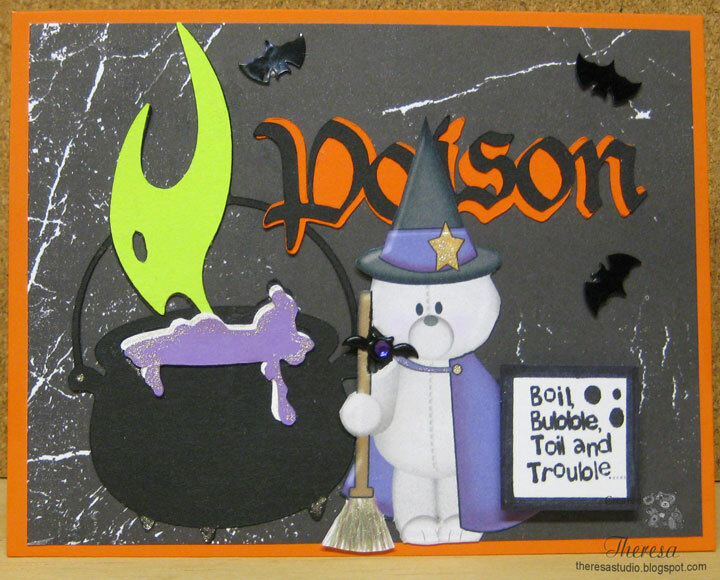 The cauldron with bubbling goo, the ghastly green spirit, and the "Poison" word are all from her Cricut cutouts. I added Sherbert the Witch, a digi from The Creative Cottage, a bejeweled Bat Brad to Sherbert's shoulder, and a bevy? of flying bats. Added some glitter to broom, cape and star. Orange base card from stash. Happy Haunting! Crazy 4 Challenges: Create a Halloween Card. Kaboodle Doodles Challenge: Go Batty! Create a card with a bat. A Spoon Full of Sugar: Get punchy...use dies and punches. Paperplay Challenges: Theme is "A Haunting we will go." PS: My husband says a group of bats is a Colony, not a bevy. I had just made that up. 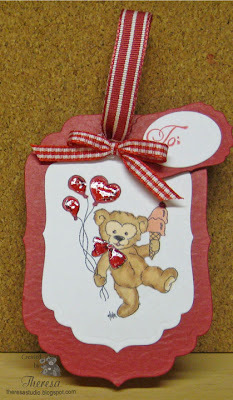 I recently received the Fanciful Tags and Lovely Labels sets from GKD and the Spellbinders Labels 4. Using these items together, I have made some quick and "lovely" cards. I think this took less than 20 minutes....was not really timing. Fab and Funky: Keep it clean and simple. Speedy the Cat's Friends: Use dies or punch on cards. This card was made for the sketch challenge For Card Patterns. Used pattern papers from Basic Grey Cappella and a CS from stash for the base. The doily is from a pack I had from Wilton that I distressed with Tim Holtz Brushed Corduroy and Memento Summer Sky Inks. Also distressed edges of base and mat. I cut out a design with Spellbinders Label 4 from one of the pattern papers and attached beneath the edge of the doily. 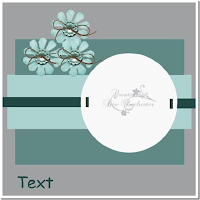 Sentiment is a digital one from Raindrop Echo Designs that I downloaded from Sentimental Sundays. Finished with a ribbon and bow using the Bow Easy and made from my stash of ribbons. 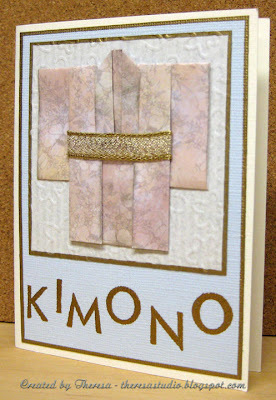 I like the soft, muted colors of this card. 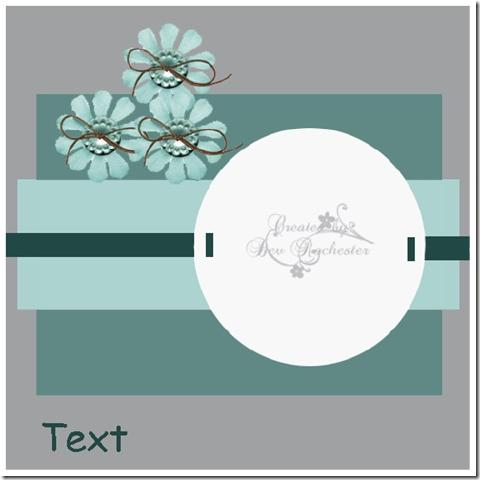 Tuesday Throwdown: Sentimentally yours...use sentiment as focus. Digital Tuesday Challenge: Use one non-crafting item and a digi. Used a paper doily from baking supplies and a digital sentiment. Check out Bizzy Becs New Store Blog where you will now see Inspiration Cards, Tutorials.. Plus LOTS & LOTS of Giveaways. Lots of fun with the Store Challenges now being set up on here...anyone worldwide can now enter. Spread the word to be in the running for some Candy....open till November 10th, 2010..see details here. I love this LOTV stamp of Teddy Sledding. Made another Christmas card for several challenges. Used a sketch from Critter Sketch but missed entering into that challenge. Colored image with Copics and Silver Jelli pen. Added snow and snowflakes with Stickles to the image. Used navy base card that I edged with Brilliance ink. Squares of navy embossed and inked to bring out raised areas. Matted on white squares. Finished with ribbon and sentiment on a snowflake. Cards for Men: Anything goes as long as it's male. 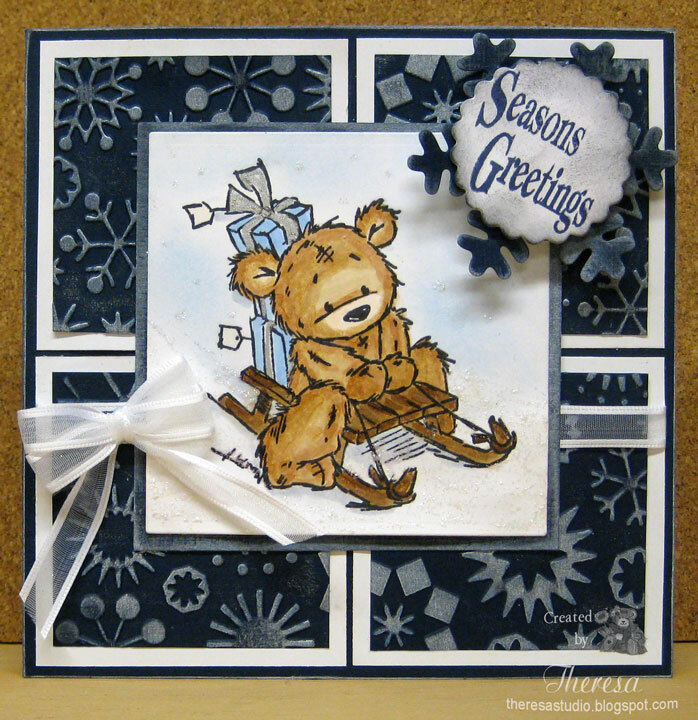 Fussy and Fuzzy Friday Challenge: Theme is Winter Wonderland. 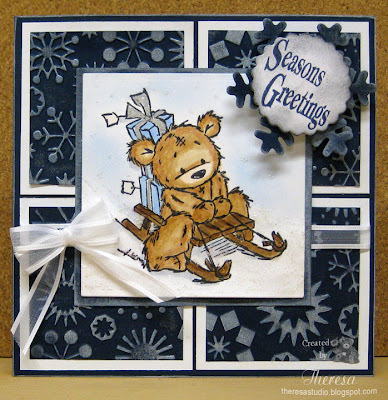 Stamps: LOTV "Teddy Sledging" , Creative Clear Stamp "Seasons Greetings"
Need to count number of Christmas cards that I have made and see how many more to do. 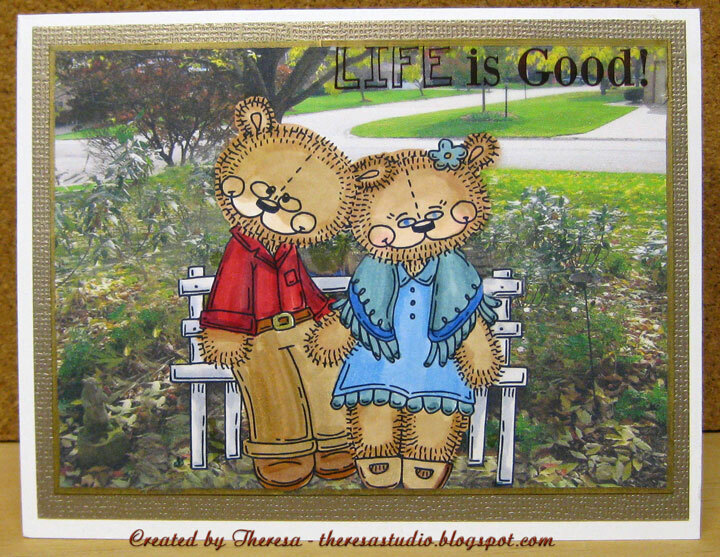 May be sending a lot of Teddy Bear cards for Christmas. 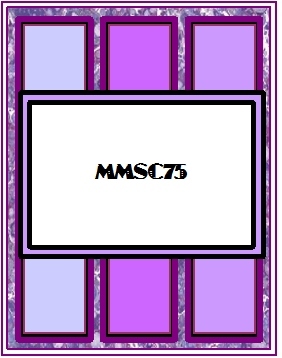 I decided to make a second tag for There's Magic in the Air 's challenge from Dru. I used a Paper Cupcakes digital image called "Simple Pleasures" to make this one. Printed the digi and colored with Copics and added Glossy Accents to the balloons and bow. 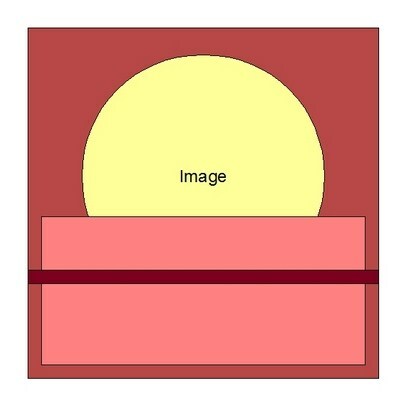 Cut the image and a mat of red CS with Spellbinders Labels 4. Made a smaller tag for name of recipient. Finished with a ribbon and a bow. 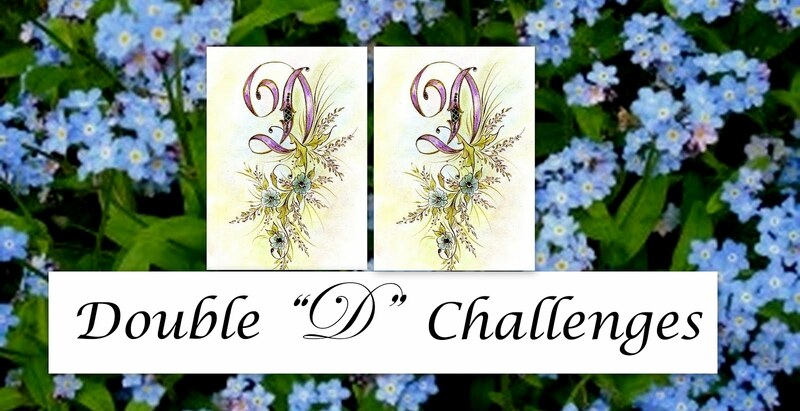 ﻿ There's Magic in the Air has a challenge from Dru this week to make a tag. I used a Paper Cupcakes digital image called "Cold Days Warm Hearts" to make this one. Printed a portion of the digi and colored with Pencils and Jelli Pens and added stickles. 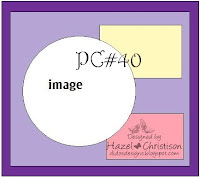 Cut the image and a mat of red with Spellbinders Labels 4. 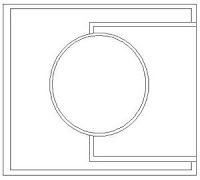 Also cut white mat for the back that I stamped with "To" and "From". Finished with a ribbon and a sentiment from Paper Cupcakes. 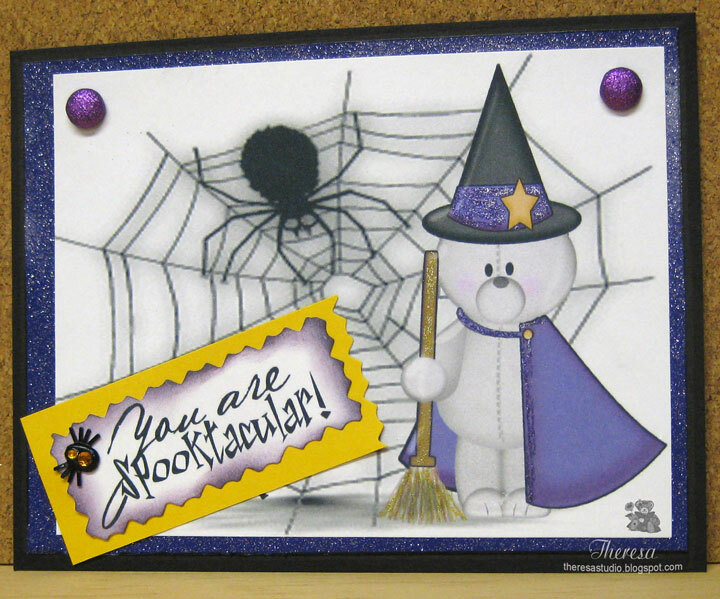 I have been wanting to use this cute digi, Sherbert Bear, from The Creative Cottage (their freebie this month) and decided to use it on this Halloween Card. I also used a digi of a spiderweb in the background but I do not know the source..sorry....does anyone recognize it? 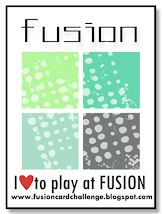 The digi sentiment is from Paulette at Creations by TLC. 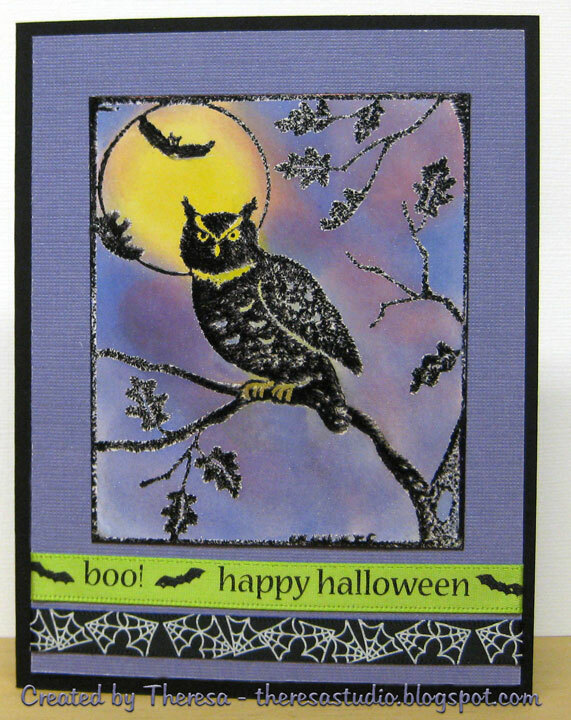 Digital Tuesday Challenge: Make a Halloween card using yellow, purple and black and a digi. 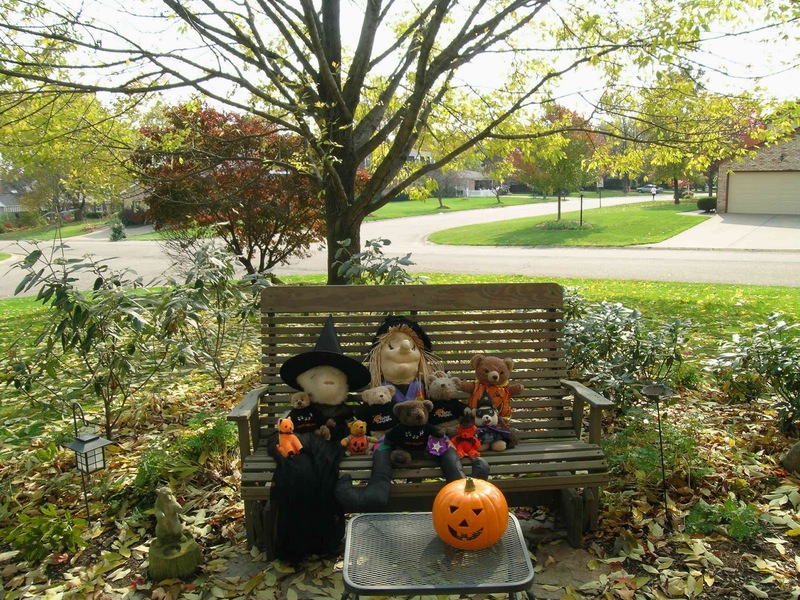 The Creative Cottage Challenge: Make something for Halloween. 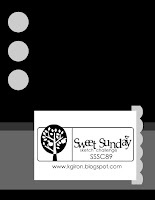 Stamp Something: Use a digi in a card. This card size is different than I usually make...the size is 3.75 X 8.5 ". 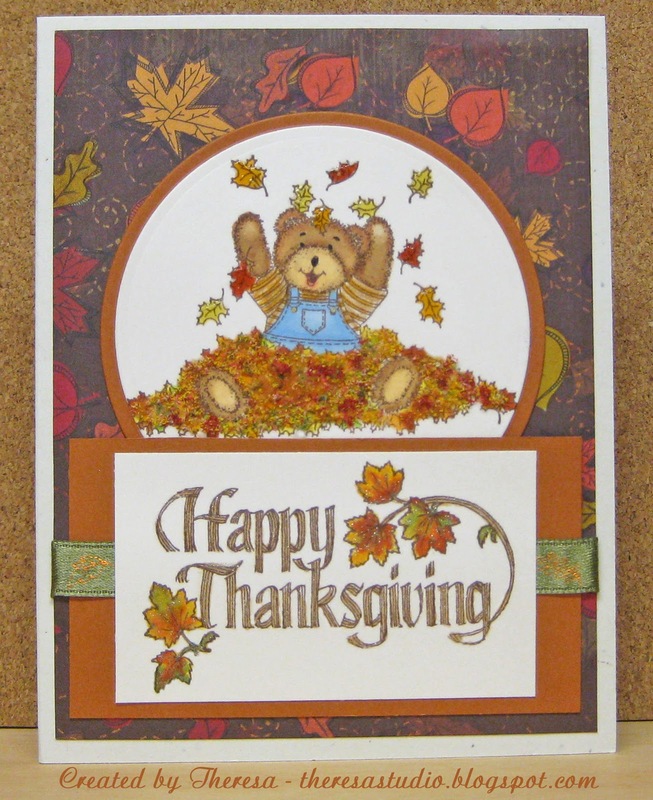 Thought it fit well with the sketch 189 from Card Patterns Sketches and the Thanksgiving stamp. Thursday morning when I woke, I was thinking about a card with a train for a black and white theme.....had I been dreaming about making cards? Any way, I decided I had to make this card but why??? 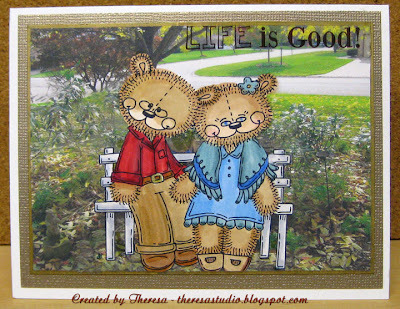 I stamped this train...a stamp form GKD "Life is Good" by Theresa Momber in black on white. I used a sketch from Sweet Sunday Sketches to complete the card. Used a sentiment from the same stamp set. Did some faux stitching around the sentiment ...added a red strip punched with scallop edge and layered on top of a strip of black CS and ribbon. Papers are from GKD. Finished with some stitched buttons. Buttons and ribbon from stash. Was this the card that I was making in my sleep? Or was I on a train ride in my dream? Mark's Finest Papers: Use stitching on your card. Geri's challenge. 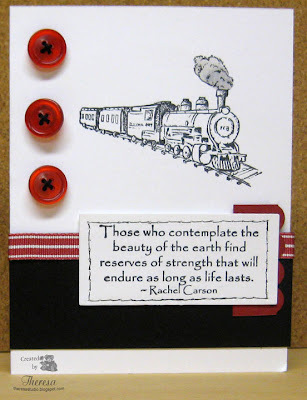 One of the best ways to enjoy the beauty of nature is to take a train ride through a scenic area...maybe this is what I was thinking when I used this sentiment with the train. 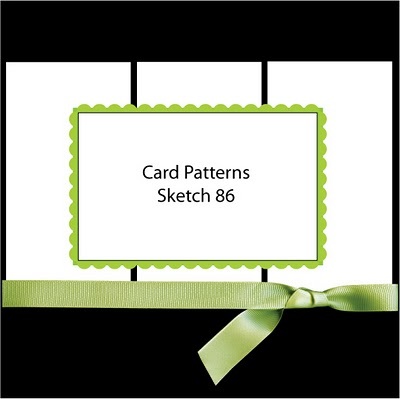 I made this card using Card Patterns Sketch 86 as a guide. Used base card of Kraft with a layer black CS that I embossed on the upper area and punched across the bottom. Used panels of a flocked pattern that was black on cream. 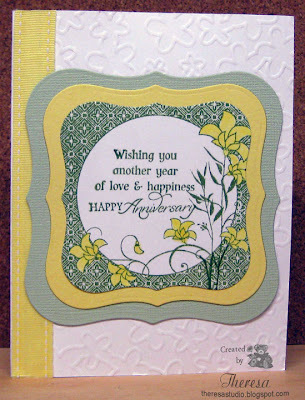 Stamped a sentiment on Cream CS and layered on a scalloped mat of kraft. Finished with a black ribbon. Flourishes Timeless Tuesday: Focus on the sentiment. 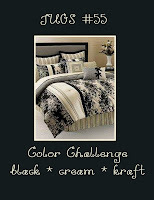 Just Us Girls: Alicia has color challenge of black, kraft and cream. How Sweet is a Shadow Box? ﻿﻿Yesterday I saw a shadow box card at Selma's Stamping Corner that was just beautiful. 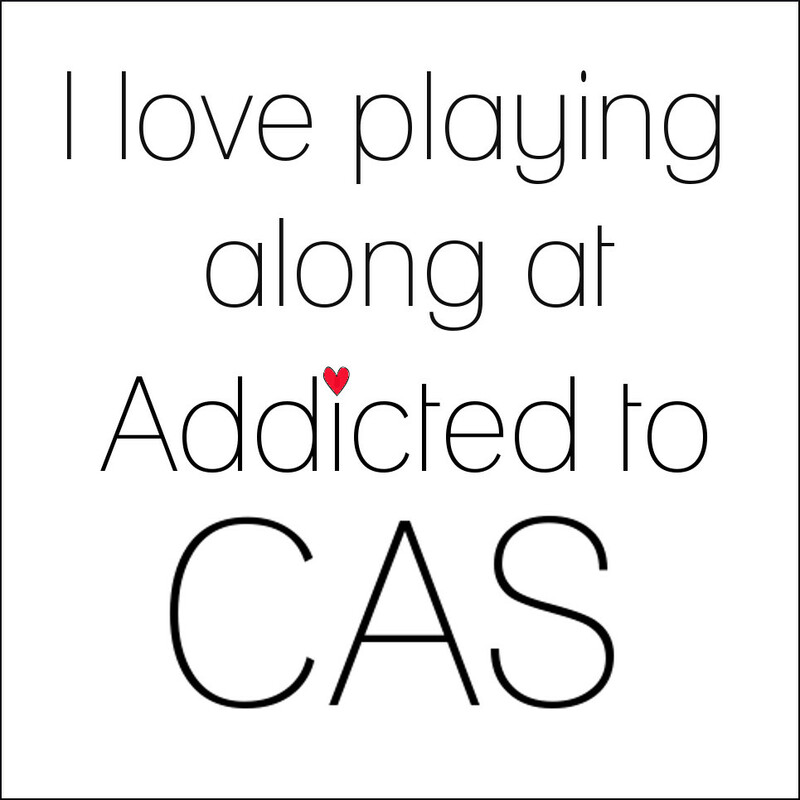 I decided that I had to try making one since I had not done one before. Mine is not as elaborate as Selma's but decided to make an easy one for my first try. Thanks for the idea, Selma. 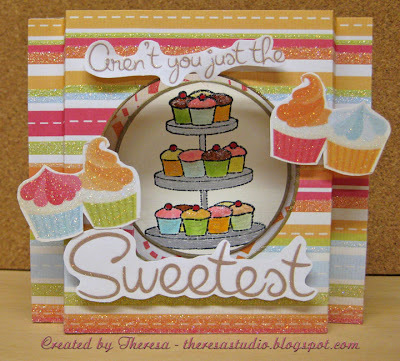 Since Paper Play Challenge has a photo as inspiration for a "Colourful Cupcakes" challenge set by DT Member Alicia, I decided to use that as my inspiration for the shadowbox. I stamped a tiered plate of cupcakes-stamp from Studio G-and colored brightly with Copics and jelli marker. I added sparkle with frosted lace stickles and Sakura glitter pen to the cupcakes. 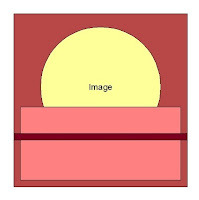 I cut the image with a circle die and attached to center of the inside page. 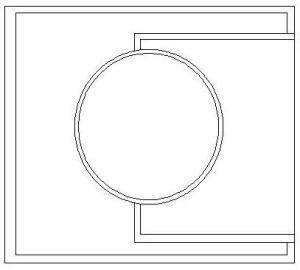 I cut a circle in the middle of the outside paper. I used striped (outside) and pattern (inside) papers with glitter from a scrapbook mat by We R Memory Keepers. I decorated the front with cutout words (letters) and cupcakes that were part of the scrapbook mat. Attached the 2 pages together which I had already double scored on the sides. PaperPlay Challenge: Use photo to the right as inspiration. The Pixie Cottage: Theme is to use Something Sweet. 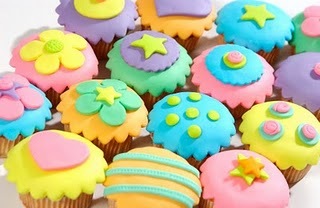 What could be Sweeter than a plate of cupcakes? I used a double of double cupcakes, glittered letters, and a heaping of glitter everywhere. Charisma Cardz Challenges: Use more than one fold-add an extra fold to your card. Used folds on each side of card to create the shadow box. 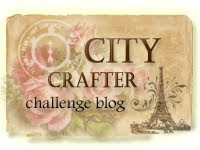 Found a new challenge on Saturday from Secret Crafter. 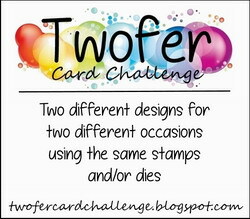 This week's challenge is set by Tracie who has chosen a theme of ORIENTAL. Any project as long as it is oriental themed. 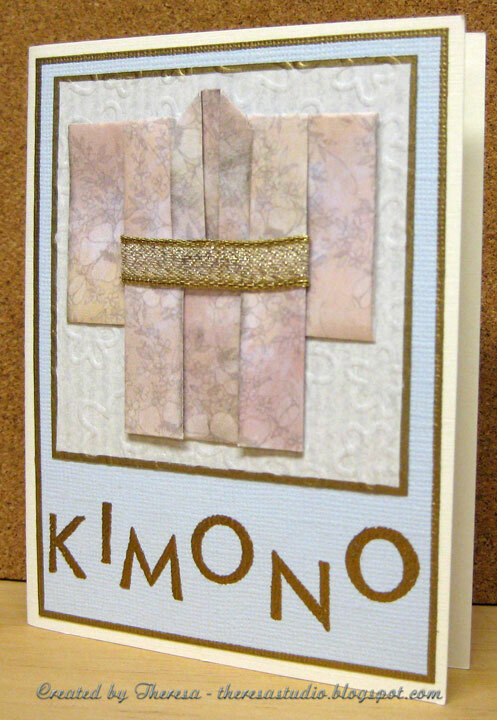 My card includes a folded paper kimono made of some unidentified paper from my stash. 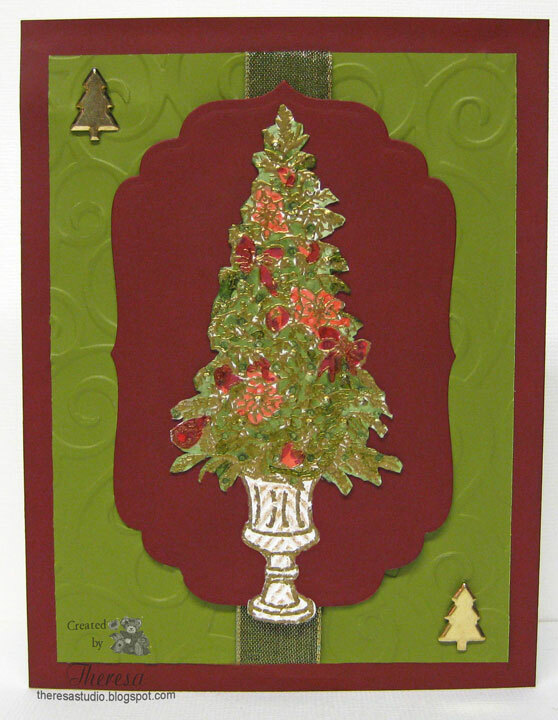 I layered this on a mat that I embossed with a Sizzix texture plate. Attached this to a mat of textured blue Bazzill CS and then to an ivory base card. I edged the mats with a Pilot Gold Marker Pen before I assembled. The sentiment was stamped with Fiskars Basic Font Clear Stamps using versamark and embossing with Gold EP. Sash is a gold mesh Ribbon. I learned this folding technique when I did this a similar card for my stamping group. Also entering this at Charisma Cardz Challenge: Add an extra fold to your card, maybe an easel style, gatefold, criss cross style, make a gift box, try some origami, etc. Used origami folding technique to make kimono. Another post for today. Made this card for Vicki's sketch challenge at Stamp TV. 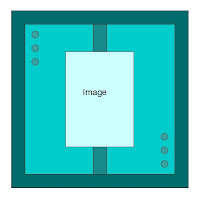 The challenge included that the card should be square which I do not usually make because I have to make an envelope to fit. I included a butterfly to include the challenge at Flutter By Wednesday. 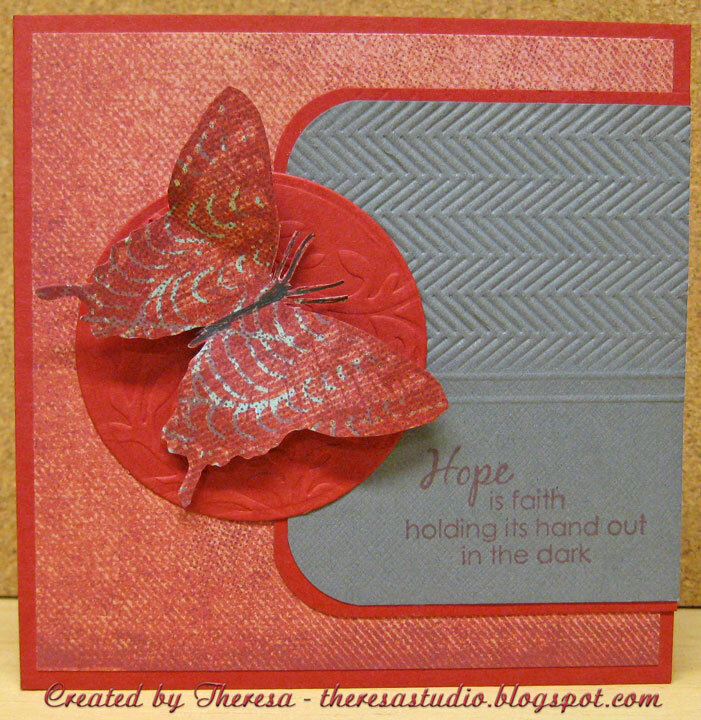 Stamped the butterfly on a patterned paper same as the mat but the corner of the paper had some grey in the pattern that I used in stamping. Cut out and added some glitter to the wings. 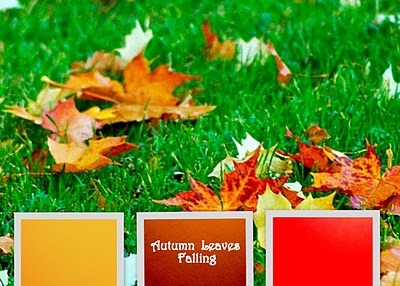 Flutter By Wednesday: Use theme of fall...I used colors that I think speak fall ...especially if you are an OHIO State fan. Did not plan it to be Ohio colors. No. I did not really bake a cake, but my DH would like that. 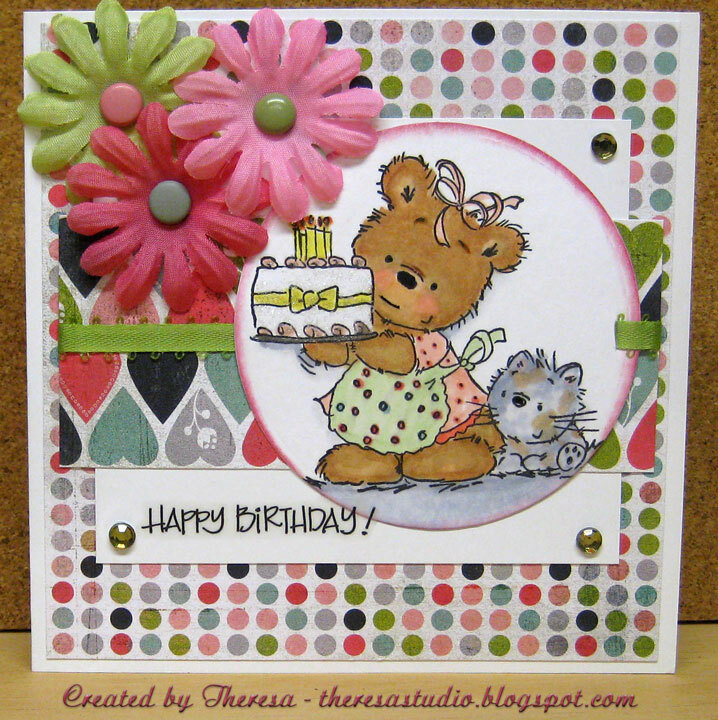 I "baked" a card for many challenges ...love this stamp by Lili of the Valley so I colored it up with Copics, added some stickles and glitter, cut with nesties circle and placed her on the card. Used embellishments from stash. 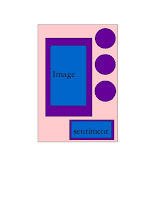 Sentiment is a sticker from Deja Views. 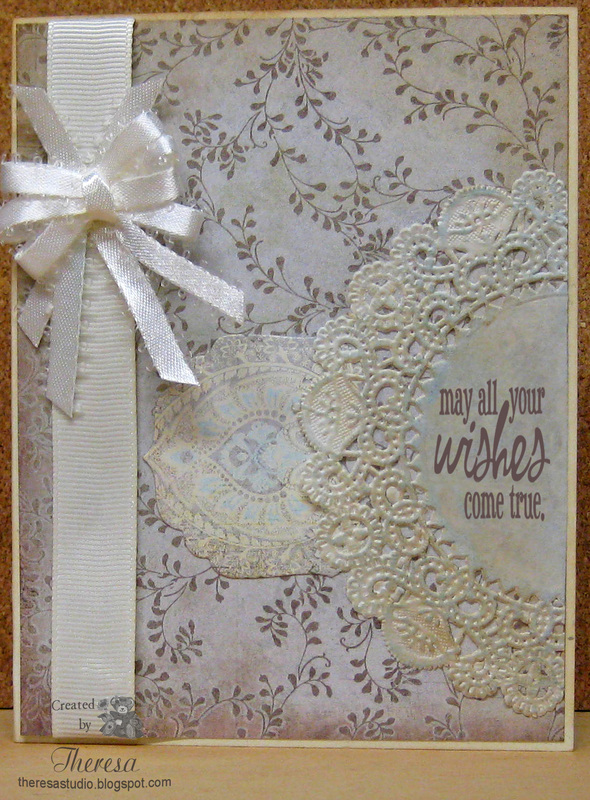 3 Types of Embellishments, 2 Patterned papers (and a plain colour for layering if you like) and 1 Image. Used flowers, brads and rhinestones and 2 Basic Grey Pattern papers and glossy white plus the LOTV image. Fab 'n' Funky Challenge: Theme is Yummy, Yummy! Made the birthday cake for this. Lili of the Valley: Sketch challenge is shown upper right. Used with LOTV image- "I Baked a Cake". Crafty Craz Weekly: Make a card inspired by nursery rhyme. My inspiration was "Pat a Cake, Pat a Cake". 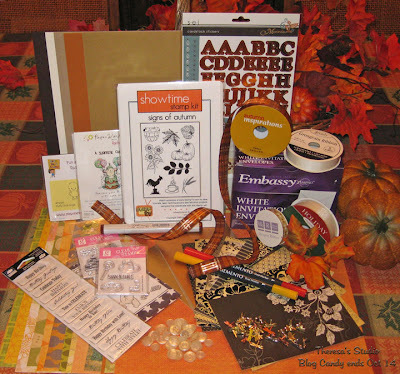 Our Creative Corner: Use embellishments. 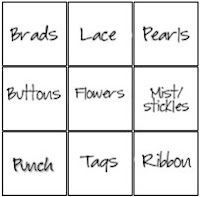 Mine are brads, flowers, rhinestones. Allsorts Challenge: Play Bingo using the card on right. 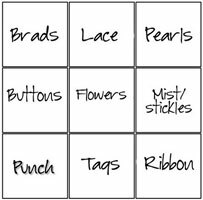 Choose a row and used that material. I used the diagonal line: brads, flowers, ribbon. What a fun challenge! 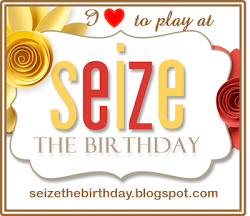 Party Time Tuesday: Anything goes birthday. Enough challenges. Need to get a life instead of more challenges. 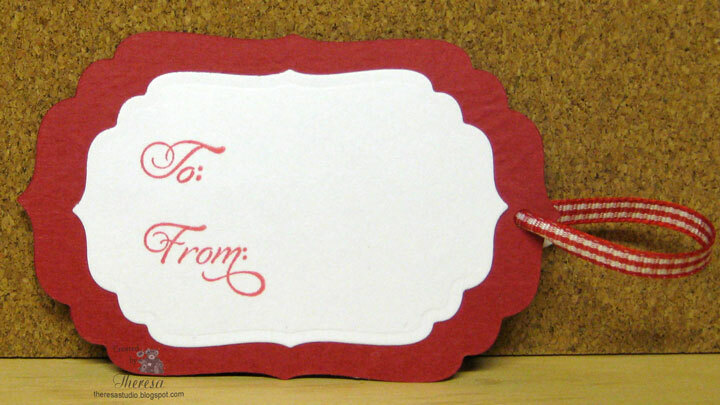 Have you ever made a card and could not decide if it should be horizontal or vertical? 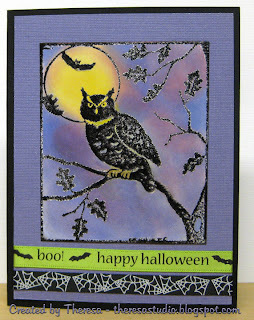 That is what happened with this card that I made for the sketch challenge from Midnight Madness and the challenge for Flourishes Timeless Tuesday Challenge. 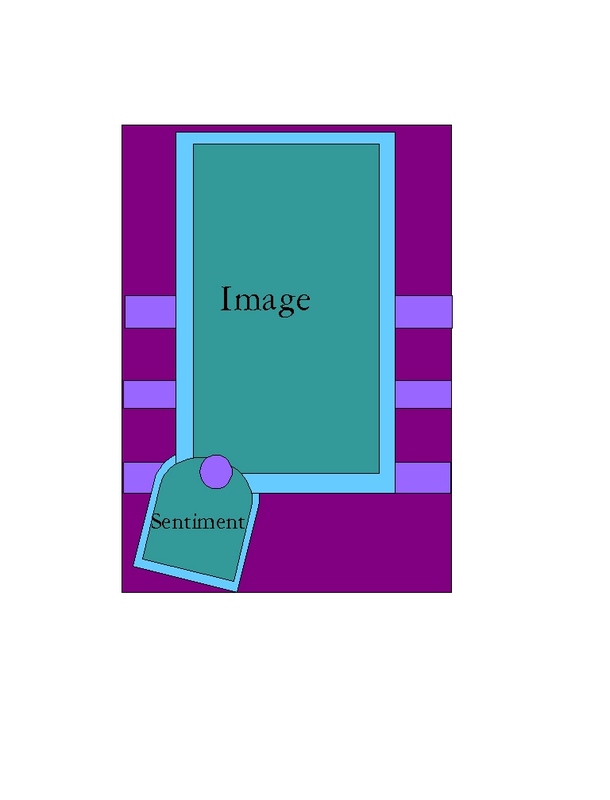 I am waiting to add a sentiment once I decide wich way I will use. Originally made this as a vertical card but when my DH looked at it, he turned it and liked it better as a horizontal card. Timeless Tuesday: Silke is challenging us to ink and do edge distressing. I tore the edges of handmade paper mat under my focus ...distressed and inked all edges of mats. I sponged with distressin on my focus and all papers. If you have time, vote if you like Horizontal or Vertical. 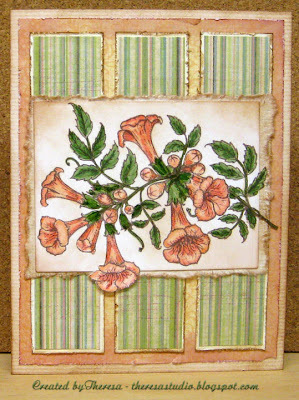 This card was made for the Pixie Cottage Sketch Challenge ....sketch by Hazel shown on right. I used colors in my card that were in the Stamp TV color challenge....2 blues, kraft, green, and ivory or white. 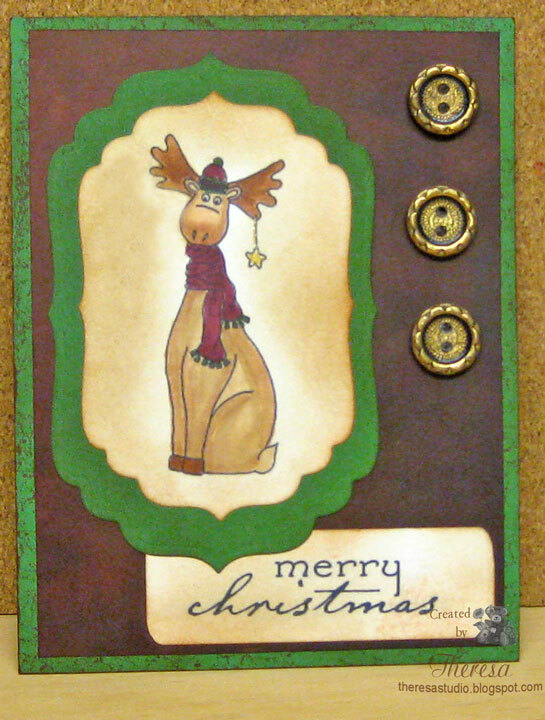 Made this a simple card using only stamps, cardstock, ink, die cuts, embossing, and scissors. 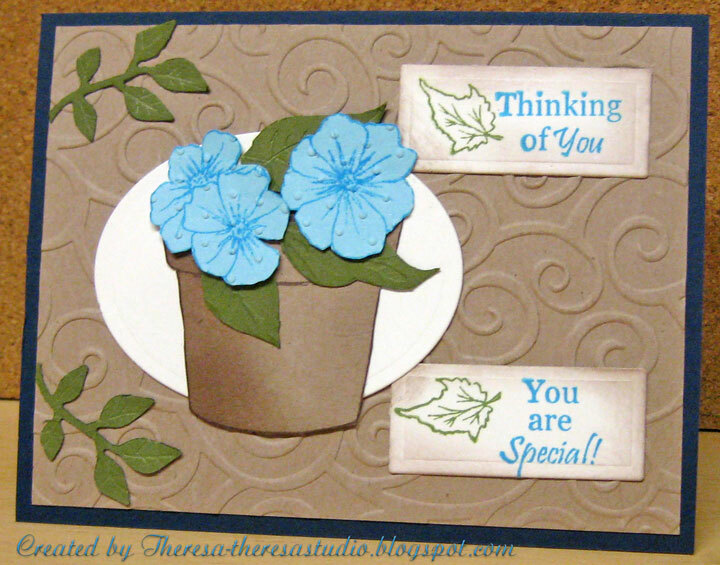 I stamped the flowers on blue CS and cut out and layered on the pot that was stamped on kraft CS and cut out . Base card of navy and embossed mat of kraft. Stamps: GKD "Buds and Vases" by Melanie...this is the stamp set that I won last week in STV's color challenge. Halloween is just around the corner and a lot of challenges were to make projects for that holiday this last week. 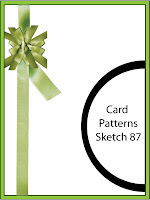 I combine several challenges for this card beginning with the layout from Critter Sketch. 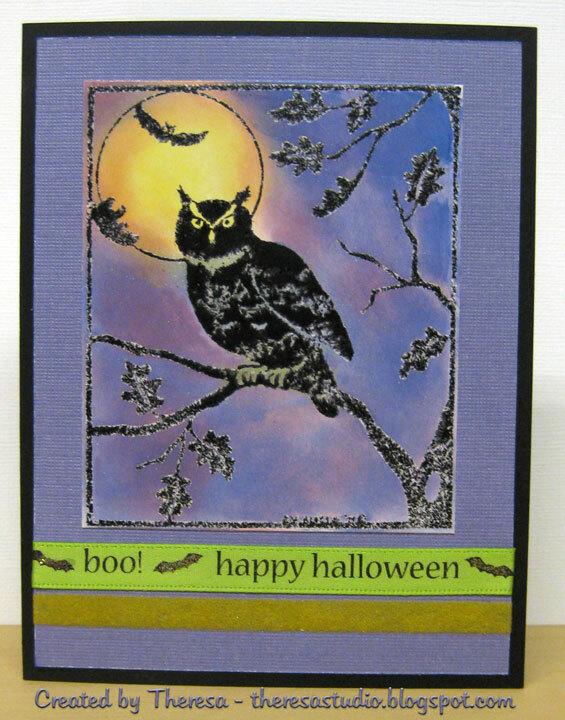 Stamped the owl ( Jessica Lynn Originals), colored with Copics, drew in the tree branch, sponged behind the owl , added some friends--bat and spider rhinestone brads, and placed on black CS mat. Used orange base card, added a mat of glittery purple CS, attached 3 orange strips of Drippy Goo punched with Martha Stewart Punch, and finished with sentiment on tag and glittery metal brads from Recollection. 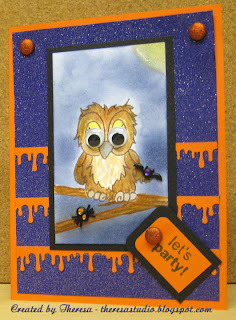 For Fun Challenge: Use google eyes for a Halloween Project...WHO, WHO better than an owl with google eyes? Cards for Men: Make birthday card for a man..... I made one for someone with Oct 31st birthday. Papertake Weekly Challenge: 3 of a Kind...Used 3 Glitter Metallic Brads and 3 Stripes of "Drippy Goo"
Cute Card Tuesday: What's Buggin' You Theme ... include a bug, insect, butterfly, bee, etc on your card. My spider is seating on the branch. One Stop Craft: Halloween is the theme. 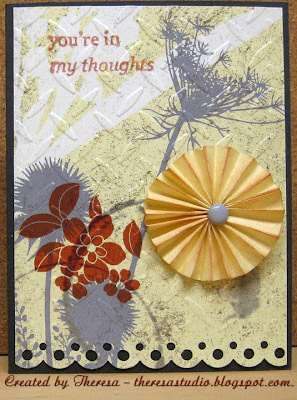 Tuesday Throwdown: Create card with 3 elements..used 3 strips of punched drippy goo and 3 metallic brads. Joan's Garden always has the most interesting challenges and this week is no exception. 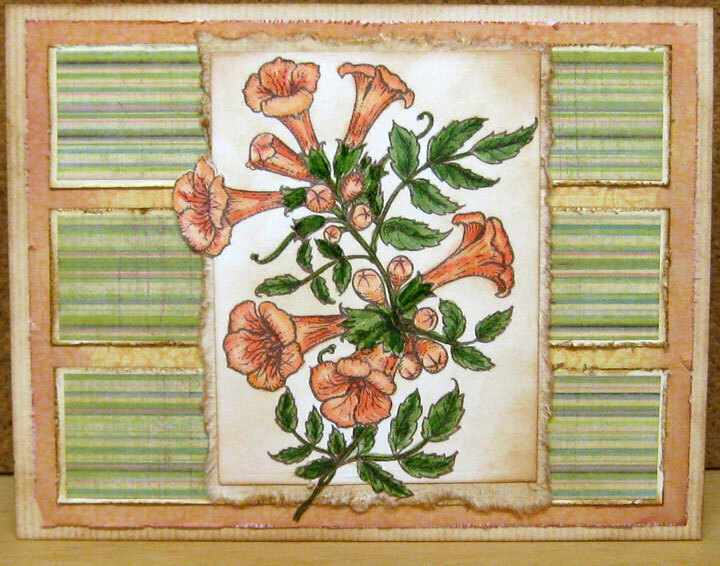 Her Challenge: Paper-Flower background paper - preferably Webster Pages, Rosette or paper flower, Stamp - Sentiment - preferably JustRite, Border Punch -preferably Martha Stewart. I do not have any Webster's Pages...must get some....but I think I found a paper in my stash that works. Made a rosette flower...just winged this. Here's how the card came together-Started with a base card of GKD PL Smokey Slate and layered with a mat of floral paper from Me & My Big Ideas that I bought eons ago and had been saving. I used a Martha Stewart punch Scallop Dot along the lower edge and embossed with CB EF Diamonds. I made the flower from Gold Parchment paper by cutting with a circle die and pleating. Finished with a Basic Grey Brad and attached with scor tape. Stamped the sentiment from "Say it with Flowers" by Melanie from GKD using Memento ink Potter's Clay. My husband thought this card had an Asian feel....said my flower looks like a parasol. Also to entered this in Perfectly Placed Pleats Challenge in the Moxie Fab World. •Create a project (card, gift bag, tag, layout, home decor item, mini-book cover, etc.) that incorporates pleats in an innovative way. 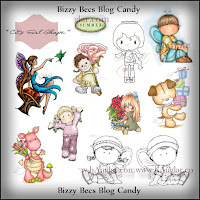 Thanks to all who entered my blog candy. I will be contacting you regarding the win. I made this card in 2 slightly different Versions. Can you find the differences? I used a new stamp that my husband selected when we stopped at a nearby stamp store, Cottage Stampers in Hartville, OH. I buy more when my DH is along because he sees things that interest him that I might not buy and ...best of all he pays for my purchases. Any way, back to my card. This stamp is from Northwoods and I saw a sample card at the shop that I tried to CASE. 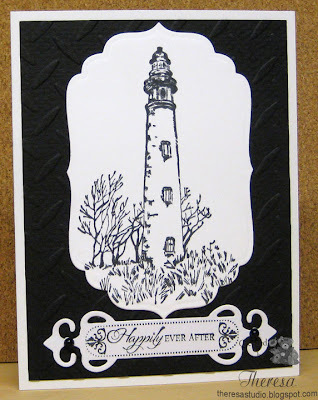 I stamped with Versamark on a white glossy CS and embossed with black EP. I then sponged with yellows, reds, and blues til I got the effect that I wanted. I trimmed the image and mounted on purple CS ( may be Bazzill, not sure). I added 2 ribbons on one and used one ribbon and a stripe of flock on the other. Added a strip of double sided tape and sprinkled on Doodlebug Crush Velvet flock. Attached to base card of Black CS. Let's Ink It Up: Use Halloween colors. Cupcake Craft Challenges: Scary Creatures-use any cute Halloween image or scary. 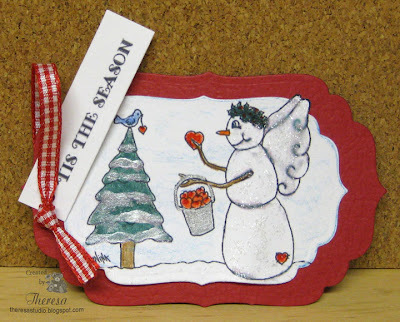 City Crafter Challenge: Make a card/project that has something with 'Wings'. I used owl and bats. Are you ready for the ghosts and goblins?